Once upon a time, # was but a simple pound sign or hash. But then came Twitter and turned this mundane sign into an online sensation. Today, whether you are on Twitter, Instagram, Pinterest, Google+, YouTube or Facebook, you simply cannot escape the all encompassing presence of the #hashtag. To the social media novice, hashtags might seem confusing, annoying and pointless at first glance. But if you understand their purpose and learn how to use them, hashtags are a powerful tool to help you engage your target audience and increase your brand awareness. 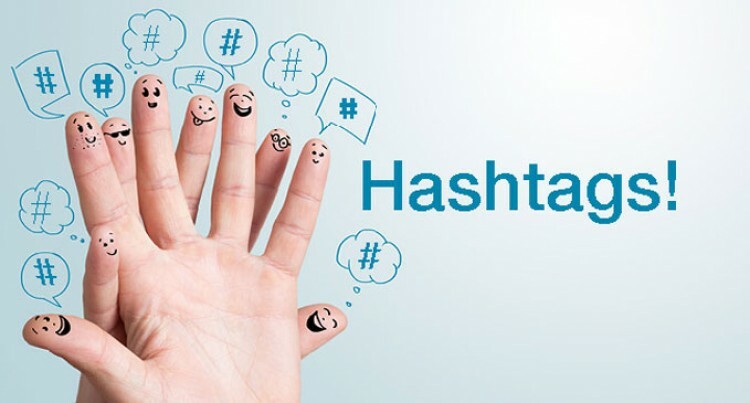 A hashtag is a keyword or phrase preceded by the hash symbol (#), that people include in their social media posts. Essentially, it makes the content of your post accessible to all people with similar interests, even if they’re not your followers or fans. For instance, let’s say you’re an Apple fan and that you’re playing with the idea of buying an iPhone 5. A simple “#iPhone5” search on any social network will open a dedicated news feed with all iPhone 5 latest updates, deals, rumors and hacks. The results you see on this feed are the aggregated posts of any users who used “#iPhone5” in their posts. But usually, users don’t actively search for hashtags, but simply spot them. Hashtags appear as clickable links on posts they see and a mouse click will display a real-time live feed of every other post tagged with the same #. How can using hashtag help you promote your business? Assuming your social media profile is public, using hashtags make your posts visible to basically anyone who shares your interest. No longer are your posts limited to just your followers; your content is now accessible to all other users interested in similar topics. Choosing the right hashtag can greatly broaden the reach of your social media posts to thousands of potential followers, fans or customers. o create a hashtag, all you need to do is include a # and a relevant keyword or phrase. You can insert hashtags anywhere in your posts: front, middle or end. Some people like to weave their hashtags into the middle of posts, while others prefer inserting them at the end. It does not really matter, as long as your hashtags remain relevant. Hashtags are powerful when used wisely. Nothing turns people off more than a cluttered post with excessive hashtags or overly lengthy hashtags, e.g. #thisLongHashtagIsSoPointless. As a general rule of thumb, keep your hashtags to a maximum of two or three when tweeting on Twitter. For Instagram, the ideal number of hashtags is five. Always remember to use clear, unique and relevant hashtags.